Slam Jam #8: On the Attack! Welcome to the highest energy Pixel slam Jam yet! It's time to show off some of Pokemon's best features: Awesome battle moves! That's right, the theme this time is attacking Pokemon! 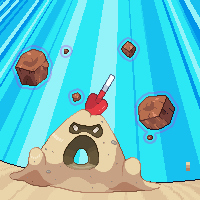 ›Use a pixel art style to show us a Pokemon using an attack! ›The limitations of game engines don't apply here! Use any size, shape, perspective and style you want so long as it's Pixel Art. ›Do not critique in this thread. Got questions or comments? Post in the Pixel Slam Jam Discussion thread. ›One entry per person and one person per entry. ›Post ideas and feedback for Pixel Slam Jams in the Discussion Thread! ›Looking for the mapping competition? Post and check back in the Iron Mapper thread! ›Have other feedback or ideas about Relic Castles events? Let us know in our Questions & Feedback Thread! 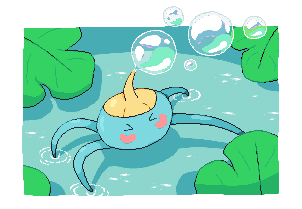 Woah it's Shuppet doing a Will-O-Wisp look at him go. Also yeah sure feedback me. Infernape surrounded itself with its Z-Power! 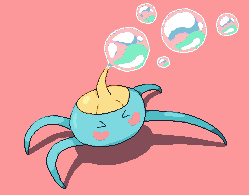 The wild Surskit used Bubble! Here's the sprite without the scenery, just for reference. Small borf used Ice Ball! H-Here's my entry. I've never done art before so I thought this would be a good opportunity to study the blade of pixel art (for future projects). It was fun, but difficult! 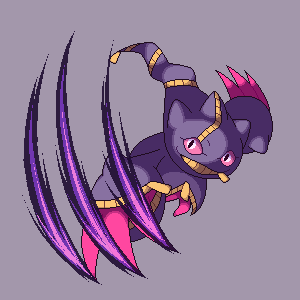 Here's Banette using Shadow Ball as a bowling ball. I scrapped and had to redo the project a few times until I learned how to use references. The entire process involved mashing google and learning everything possible. I'm sort of proud? I think it could be much better, but I'm satisfied with my first work! ...results inconclusive. stopping ditto mid-transform does nothing to augment the electrical capabilities. mark it down as a failure. eugh, it's kinda slimy too. oh well. 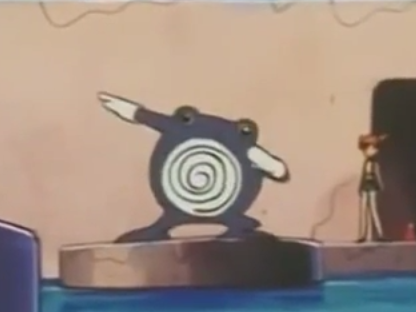 at least it doesn't seem to be in pain..
Poliwhirl used Splash! But nothing happened! ...but it was cute. 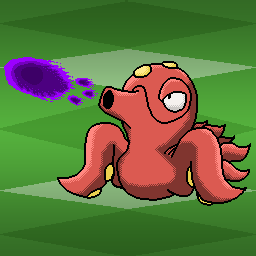 I picked Poliwhirl with the help of randompokemon.com, and thought Power-up Punch would look cool, but then decided on Splash. Splash doesn't cause damage but this one is rather invested in looks and not attacking power. 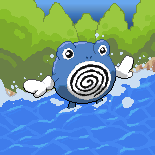 Poliwhirl's colors are from its BW sprite, everything else is from the HGSS tileset (lightened up a little as Poliwhirl started to blend into the tree's shadows). Thank you to everyone who entered! This jam was packed full of expressive and detailed pixel art! The winners of this Slam Jam's badge are Clifford and Cilerba! 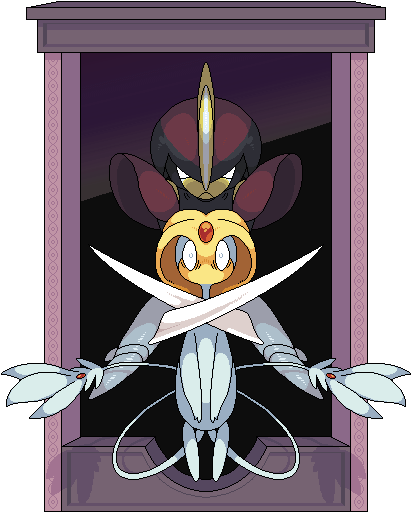 Your works were both so expertly done and really showed off the Pokemon's ability! Pixel Profligate, your work looks amazing, as always. The thick black outline feels very natural with Shuppet's eyeliner here, and makes a pretty strong silhouette. As for how to improve it, the wisp itself follows that silhouette maybe a bit too closely, combined with both the wisp and Shuppet being blue, they can blend together a bit. Adding some more wisps that don't line up so perfectly with Shuppet's body, or taking some artistic liberties with the color of the wisp (yellow like Shuppet's eyes?) might make for a more dynamic look. 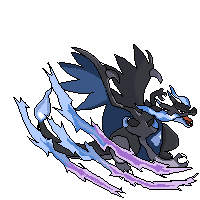 VortexInfurnus, your entire piece might not be pixel art, but it's definetly got energy and style. The main issue with this piece is probably the style inconsistancy; while individual parts look great they don't quite fit together. For example Infernape's flames are super clean with their flat color style, but the main body goes for black lines on every part with some minimal shading. Neither of those are a bad style choice, but making one style choice and going <ALL-OUT> with it would really make this a great work! BrickWildcat, thanks for entering your first Pixel slam Jam! Lugia's Areoblast is a pretty cool move concept, and that's a nice looking lazor beam. However, the posting for Lugia's body is a bit strange, it looks like it's laying on it's back and raised its' head to shoot without sitting up. Overall there seems to be some anatomy issues that just come from inexperience. Hope to see you participating in future Pixel slam Jams! shyacinth, the shadow claw in this piece looks perfect. Banette itself is where the issues come up for critique, as there seems to be some perspective problems. The hand is the back (ignoring the claws for now) is pretty similar in size compared to the clawing hand, when it should be the object furthest in the back. The head also looks a bit off...The light source seems to indicate that the face is the next focus point after the Shadow Claw itself, maybe a bit more detail in the mouth or the eyes emphasize that ghostly creepiness would be a good choice. Clifford, this piece is amazing. The only issue here is that it's pretty obvious that the whole thing is a perfect mirror. That's not even a huge issue as a stylistic choice, but just changing up a couple of the shiny spots on Bisharp or the shading on Uxie's tails a little bit would add some nice character to such a clean piece of work. Congratulations on winning this Pixel Slam Jam! Ramman, that Small borf is adorable. Just judging by the right panel, since that is the bit with the move though...Small borf's space is invaded quite a bit by Sealeo. It looks like Sealeo might have been added to fill in some white snow space, but it's not immediately obvious if Sealeo is suppossed to be in the foreground, or if Small borf is actually hitting it with the Ice Ball. Ouroboro, it looks like your studies are paying off! While there's some awkwardness in the linework (do you use Relic's light theme? Try switching to Relic Castle Dark and you'll get a good look), the pose is pretty nice and honestly a really funny interpretation of the move. 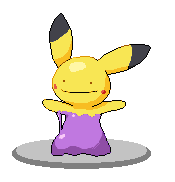 The main issue with this sprite is mostly around the shadow ball itself though: it's a pretty indistinct object, and Banette's arm looks like it's been stretched some in order to show off more of the Shadow Ball instead of hiding it behond the body. You should be proud though, this is a very nice first work.